“Salesforce -Microsoft Partnership” what is in it for the Salesforce Pro’s in Chennai? Many will be aware of the fact that Microsoft and Salesforce are competitors when it comes to CRM products. But the recent news is that they have decided to become partners by sharing some of their services in the upcoming business applications that will be very handy for their customers who do business development. DreamForce Conference – The Turning point? In the Dreamforce conference that was conducted by Salesforce both the companies have decided to take their union a step forward. One of their reports that support this fact is that many Salesforce applications are going to be merged with some Power BI business intelligence platform and office applications. To be, in particular, Salesforce application is now available with the Outlook that works with Office 365, and Office 2013. Even the Skype services are going to be included in the OneNote along with the Salesforce lightening. This will improve the user experience in leaps and bounds. What’s in it for the Indian/Chennai Salesforce Trainers & Developers? This will mean a big deal to the upcoming Salesforce learners who are aspired to master the application – said Jabaraj of “Cloud Solutions India”, an advanced Salesforce training institute in Chennai. 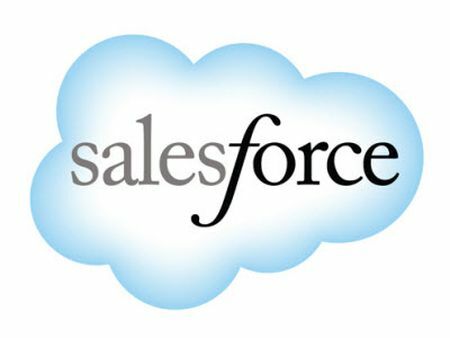 Apart from the points mentioned above the company has planned to integrate the Office Delve and Office graph with the Salesforce. This process is expected to be completed by the end of 2016 along with the Salesforce1 Mobile application for Windows 10. Earlier the Salesforce was working in the development of Salesforce1 Mobile application for Windows 8.1 which was not very successful. Now efforts are made to develop the Windows 10 with the particular application. Salesforce is a company that has a very good rate of growth in the recent days. The crazy trajectory of the company has left many analysts astonished. It has become a habit for the company to beat and overcome the projected sales rates. This is a routine for the past few years. Even the stock price of the company has got a very good value. It has recorded very high values in the market that cannot be reached very easily by the competitors. Marc Benioff, who is the Salesforce CEO, had recently talked about the status of being the fastest growing company ever in the market, and this fact cannot be denied by anyone after seeing its recent performance analysis. He also promised sales of $10 billion in a much faster rate when compared to their other competitors in the market. It is clear that that Salesforce market share is overtaking SAP and Oracle, who are considered to be the CRM software giants in the market. This is happening in a very short period of two years. It is said that around 18 % of the shares in this market is owned by the Salesforce that is said to be double the value of the market share the company had five years back. In fact, it is said to be a milestone for the company. With the rise of this company, the share value of the reputed CRM companies like Oracle and SAP is at a continuous decline. The customer relationship management is not a child’s play one has to be very aware of even the minute needs of the customer and satisfy it at the right time. For this purpose, the Salesforce CRM software will be very handy. This is a statement shared with me by an Salesforce trainer who handles Salesforce training classes in Chennai. Its a good news that sales force and Microsoft, the two giants have collaborated. As of now it was only a humor about this happening, but its for sure that many of the online troubles are going to be resolved after this event..